TVF Valentine’s Pop Up Market! Year 2: Beers From Here! It’s free on the App Store and Google Play! Get local guides, events, explore things to do, and discover our “Shop Durham” rewards. Founder of Best of the Bull and Shop Durham. Owner of multiple small businesses and a Durhamite with big dreams. 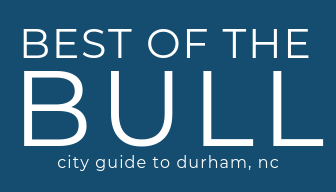 It’s my chief goal to keep you in the know about all things Durham.